Charlie Shrem, age 11, invests early and makes millions in Bitcoin! Dave Carlson makes $8 million per month in Bitcoin! 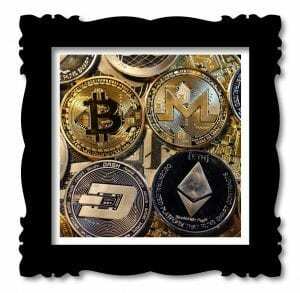 Inspired by these and other true-life stories, some have felt that with the right timing, they too can get in early and become the next cryptocurrency millionaire. After all, if an 11-year-old can do it, how difficult can it be? For thousands of people in northwestern China their opportunity had arrived, or so they thought, in a new cryptocurrency called ‘Datang Coin.’ However, this would turn out to be an elaborate ponzi scheme. A scam artist going by the pseudonym “Zheng” allegedly conned over 13,000 people out of $13,000,000 USD, in just eighteen days. Zheng spent months preparing this elaborate and detailed Ponzi Scheme. His scam centered on investors purchasing Datang Coin, a cryptocurrency, linked to “a Hong Kong Yongli Datang International Group” a company under his control. Huge returns were promised. New members could make roughly $13,000 per day with an initial investment of $480,000 to purchase the Datang Coin at $0.50 per token. To enhance the credibility of the Datang Coin and “Hong Kong Yongli Datang International Group” as an international blockchain startup, Zheng hired a Russian man, Evgeny Subbotin, to pose as Chairman and Managing Director. Mr. Subbotin attended multiple promotional cryptocurrency events that were covered by the Chinese media. He touted the potential of the Datang Coin being added to exchanges such as Shangya, U-Coin, and ZB.com. In addition, he claimed that the cryptocurrency would have uses in hospitality, retail, and educational industries. Multiple influence tactics were skillfully used to make this scam seem real. These four cues made this scam appear legitimate. For the Datang Coin investors, it seemed that if they got in early the possibility existed to become the next Charlie Schrem. Pretexting: A Russian, Evgeny Subbotin, was hired to pose as Chairman and General Manager of the Hong Kong based company. This enhanced the perception of Hong Kong Yongli Datang International Group as a legitimate international blockchain startup. Authority: Mr. Subbotin acting as Chairman and General Manager attended multiple promotional events that were reported on by reputable Chinese media. Social Proof: Thousands were investing. It was a popular decision and therefore must be correct. Emotional trigger: Huge returns of $13,000 USD a day were promised. The More You Know…The Safer You’ll Be – Right? Scam victims must be gullible, credulous, over trusting, easy to persuade, and that’s why they get scammed. Right? … Wrong! A study done in the UK discovered the exact opposite. Scam victims often have successful careers, are proficient decision makers, and have good cognitive abilities. The savviest scam artist can fool even the smartest person. The elaborate details they use in the scam make it seem—Oh! So real!